Following Dr. Garcia, 'Of all cognitive functions, the most important is memory'. This is the reason for which we have studied more the effects of Vinpocetine on memory problems. We have performed two types of studies, in elderly and young people. It is important to note that clinical trials with elderly patients have been performed with patient suffering from advanced illness. Memory loss does not start at the age of 70, not even at 50 but much before as we all have noticed. 'In fact, memory is not lost when an elderly age is reached, the process starts at the age of 40-45'(Garcia L., Nebreda 0., Perlado F. Pg.9 - Mental Illness in the Elderly). Vinpocetine can be taken at all ages, when memory loss is first noticed. This is why clinical trials have also been performed with young healthy volunteers. Over more than 100 clinical trials have been performed with Vinpocetine, and some of them, have studied along with the general action of Vinpocetine in the brain, the specific action on memory. The majority of these studies were performed with elderly patients, on a total of over 20,000 patients. These studies were performed in several countries, such as Japan, Russia, (former USSR), United Kingdom, Germany, Italy, Portugal ...etc. For example, there is a series of trials performed by three different teams in Italy and published in well known international scientific publications, such as the 'Journal of American Geriatric Society'. In these three studies on around 120 patients, an improvement of memory was observed in 75% and 86% of patients, following the SCAG scale criteria (Sandoz Clinical Assessment Geriatric Scale). In a series of three studies at the University of Leeds, the team of Dr. Hindmarch performed 3 clinical trials with young and healthy volunteers (aged 25-40, average age 31 years). In the 3 studies they used the Sternberg Memory Test. The studies showed a memory improvement in volunteers and this improvement was related to the dose of vinpocetine used. It is important to note that these trials were double blind crossed, which are the strictest clinical trials, neither doctors nor patients knew they were taking the product or placebo. The significant difference (p <0.0001) clearly shows the efficacy of Vinpocetine on young and healthy individuals. There is no evidence of specific scientific tests on the capacity of attention or concentration. However, different test of geriatric assessment, such as the scale SCAG (Sandoz Clinical Assessment Geriatric Scale) do include parameters to measure them and these capacities have been proven to be improved by tests other than the above explained. 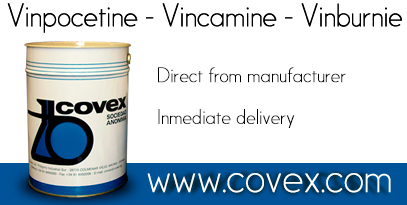 As attention and concentration are cognitive functions, Vinpocetine can be recommended when the deterioration of these capacities is observed. It is to bear in mind that Vinpocetine can be recommended when deterioration is noticed in any of the cognitive functions described before.